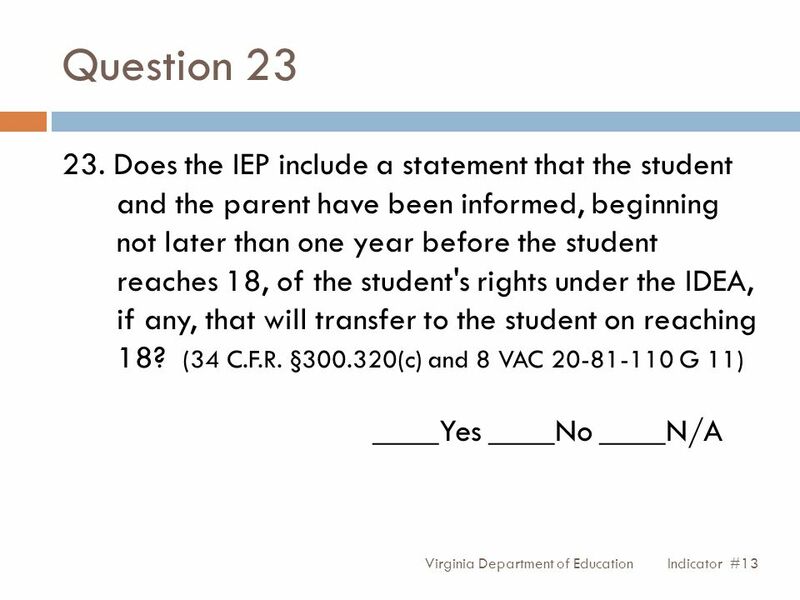 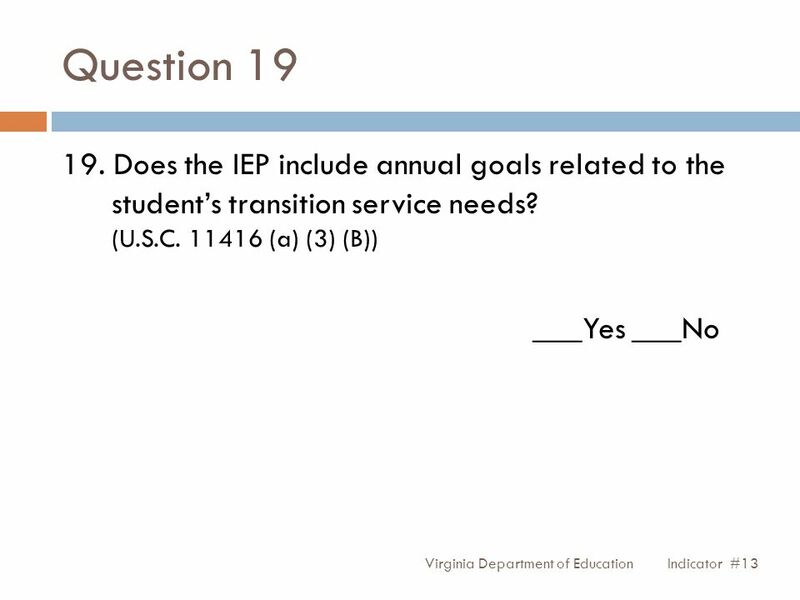 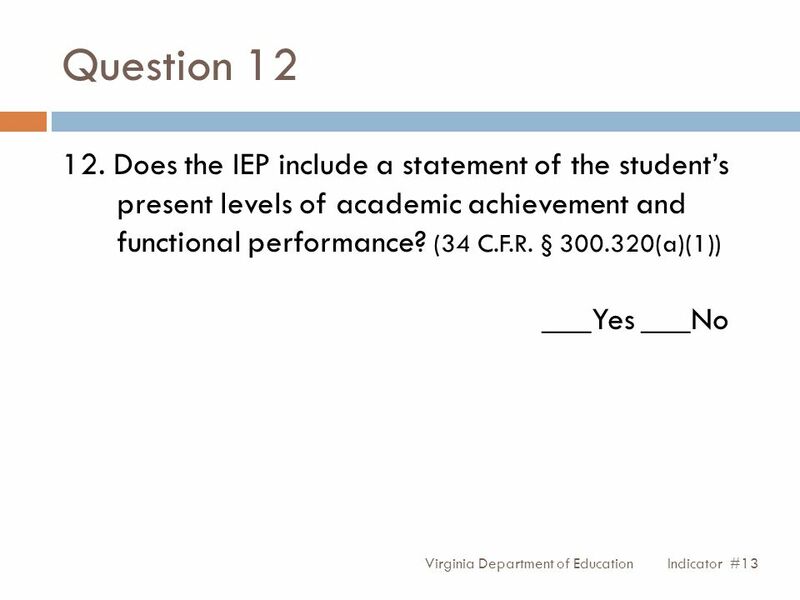 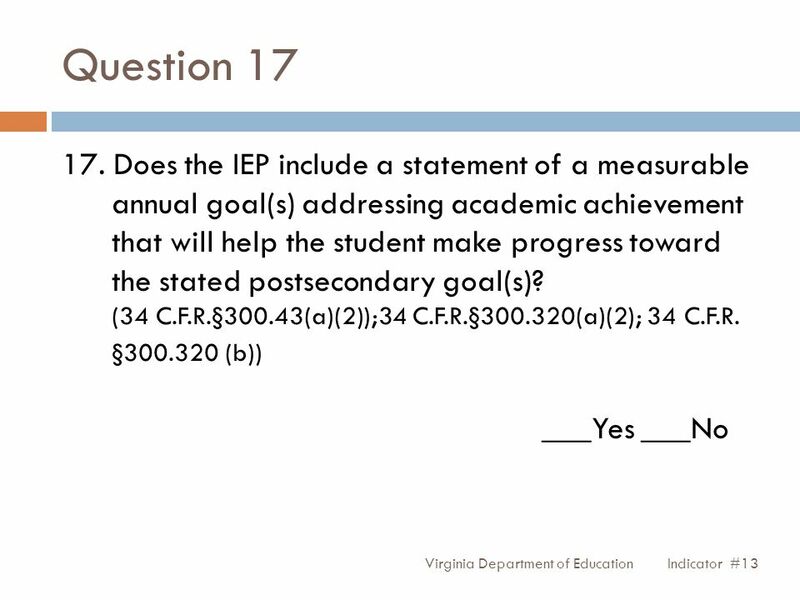 14 Question 20 Indicator #13Virginia Department of Education 20. 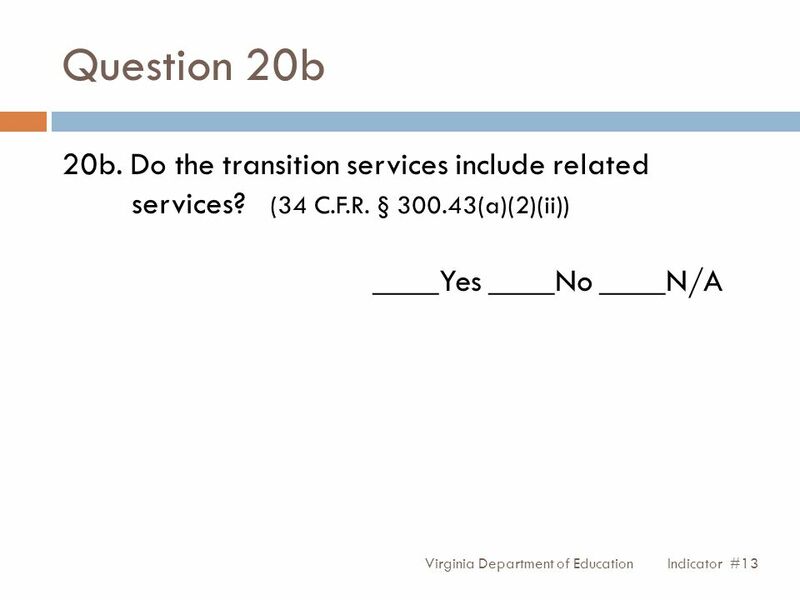 Do the transition services include: instruction, related services, community experiences, the development of employment objectives and post- school adult living objectives and where appropriate, the acquisition of daily living skills and/or functional vocational evaluation? 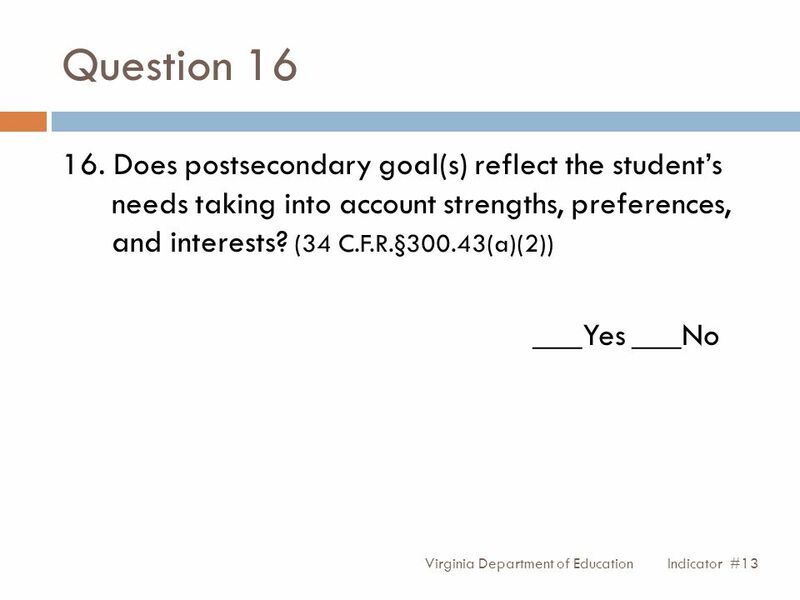 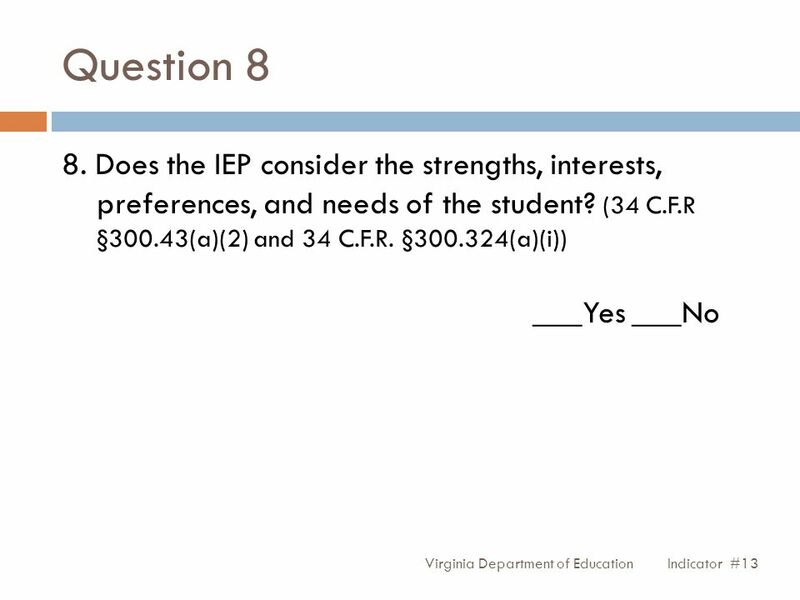 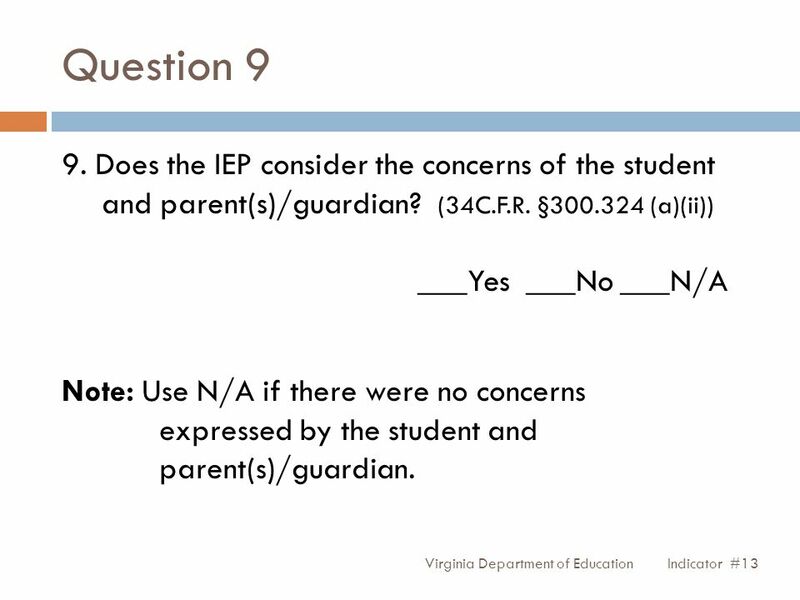 Download ppt "Question 8 Virginia Department of Education 8. 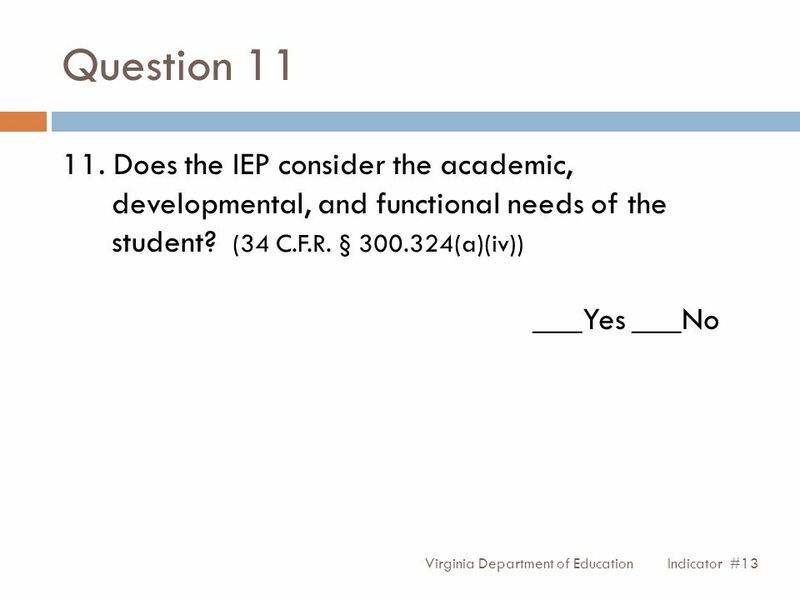 Does the IEP consider the strengths, interests, preferences, and needs of the student? 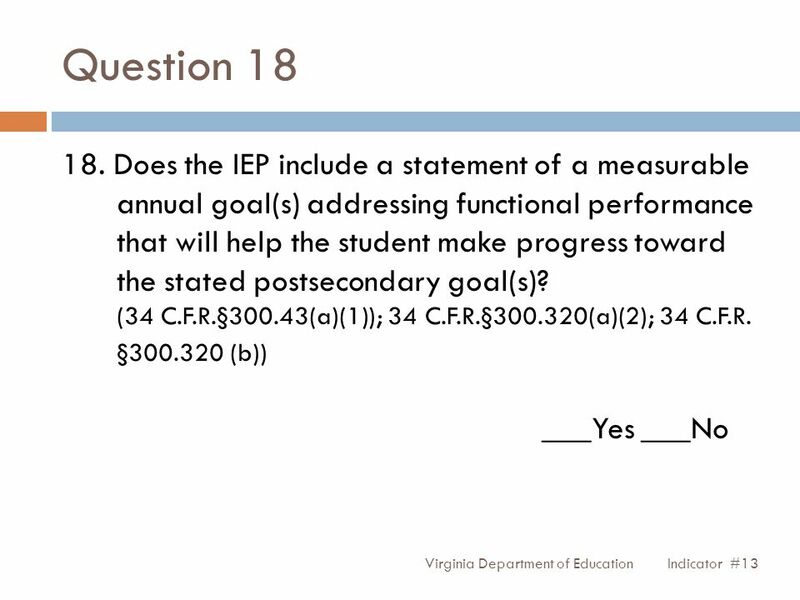 (34 C.F.R §300.43(a)(2)"
IEP Planning Process Beginning at age 14 the IEP should be focused on meeting the student’s postsecondary goals. 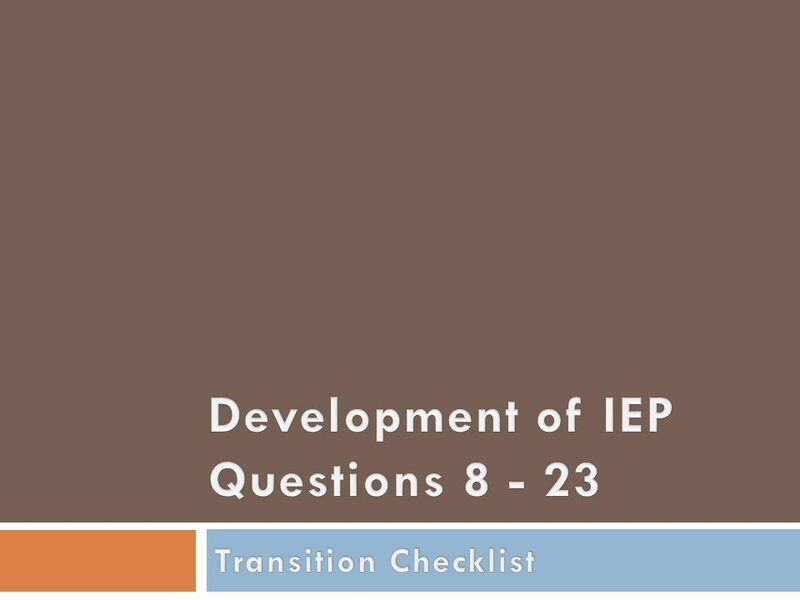 The IEP is a plan for preparing the student. 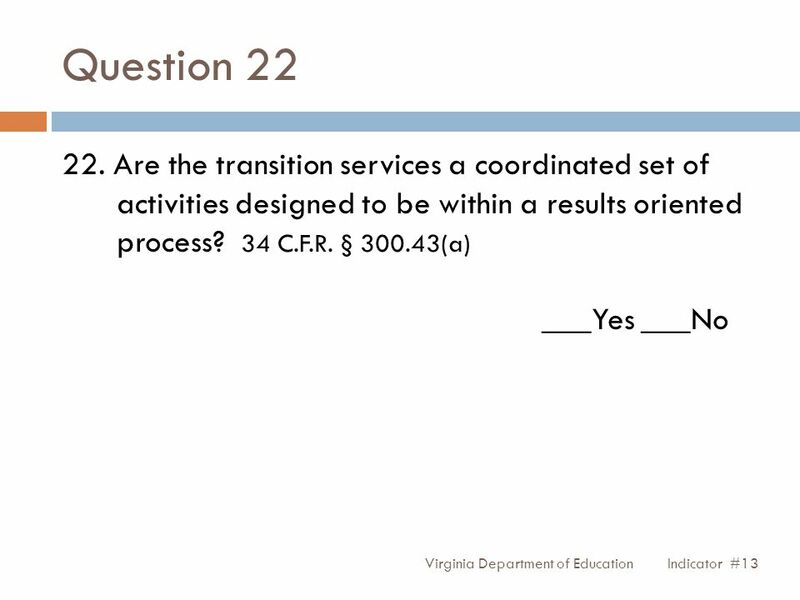 Administrative Rules Impacting Secondary Transition Florida Department of Education Revised June 2011. 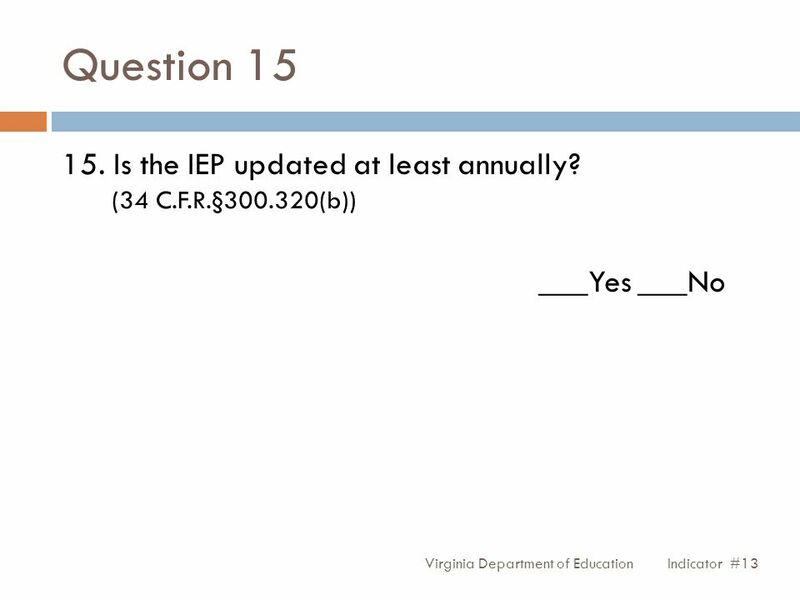 Changes to Administrative Rules Impacting Secondary Transition Florida Department of Education Dr. Eric J. Smith, Commissioner. 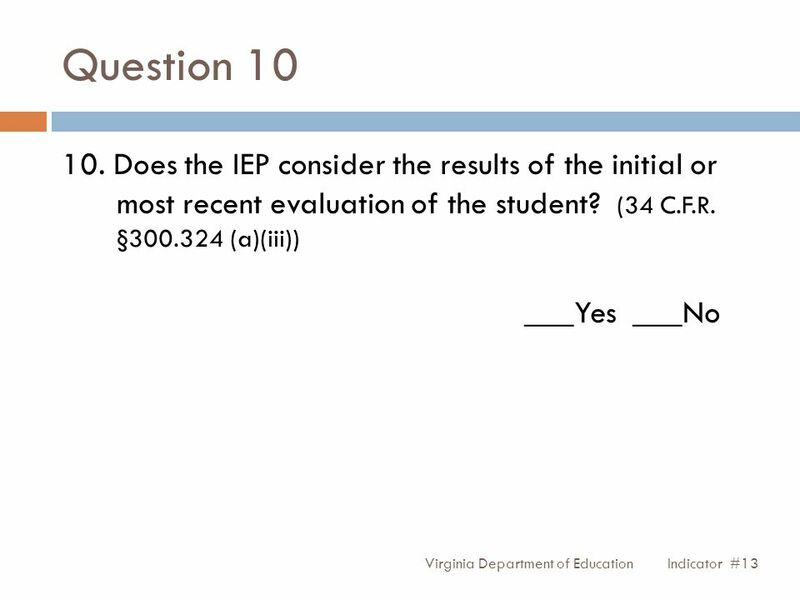 1 Division of Public Schools (PreK -12) Florida Department of Education Florida Education: The Next Generation DRAFT March 13, 2008 Version 1.0 IEP Components.